I wish I could make un~sideways happy faces! : ) Am I missing something? I got the painting done! Yay. I wanted to change the color the minute the first coat was on...but I controlled myself. 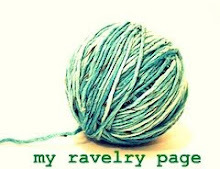 I was going to go and redo it with my usual 'go to' color (see below). Like I said-me and paint-put it up and wanna change instantly. I'm the type that should stick with white walls and let the 'goodies' do the talking. The only color I've ever put up and not wanted to immediately change was Restoration Hardware's Silver Sage. I loved that color before they made their own paint for it and was soooo happy when they did. Anyway, I've used it in 2 homes ...but I'm maybe willing to try something bolder now. 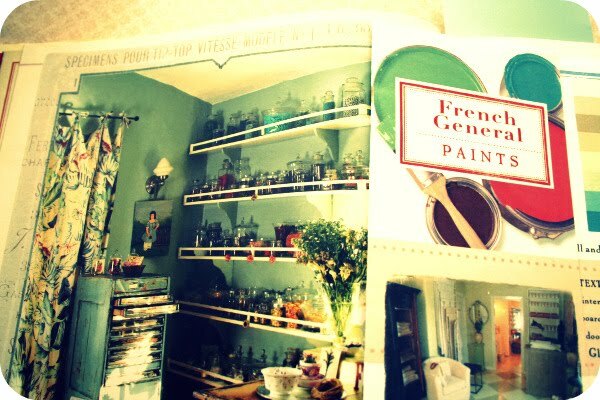 They used to have a paint line too ~I still have the brochure. But now, they don't, and as you can see I just take the book to the hardware store to match the chips up! Looking at it now-I'm not sure why I think it's such a daring color. I studied interior decorating, and I'm the first to be afraid of making color/decor commitments, at least for myself. I usually never get around to hanging pictures in the house either. Funny, huh? The girls and I can't stop giggling about the photos I'm going to share! THANK YOU so much for all your constant support and kind words....you really are such a doll! My husband is in the midst of renovating our Laundry room as we have NO cupboards...soon,soon. LOVE the new banner and your creations on the white backdrop are great! hehehe, Im in the middle of a painting redo too! 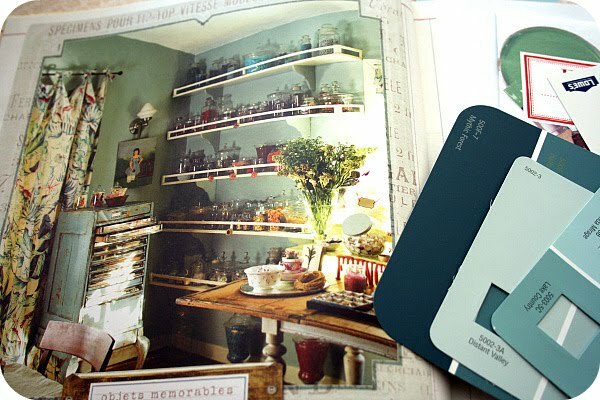 I'm painting my bedroom a dark bluey-green called 'culinary herbs' by Kilz and its dramatic! When I put the first stripes of it on I thought "hope this goes ok....lol....but kept pushing on and I do love it! Love the subway tiles you used! those are so fun! just remember, its just paint! It can be redone. Better than wallpaper, right? ooh that silver sage paint is so pretty! 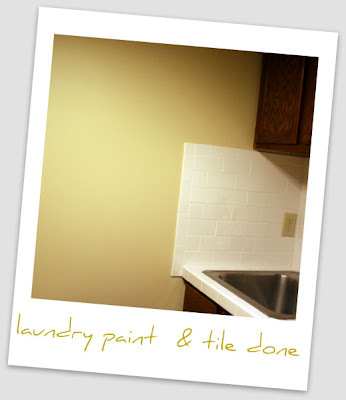 and hooray for white subway tile! merci so much for being always so sweet and supportive !! I am quite impressed about everything you do and i must say you have done an amazing work with the tiles. i need to revamp my kitchen tiles and you really makde me want to do it right away !! was is easy ? ?